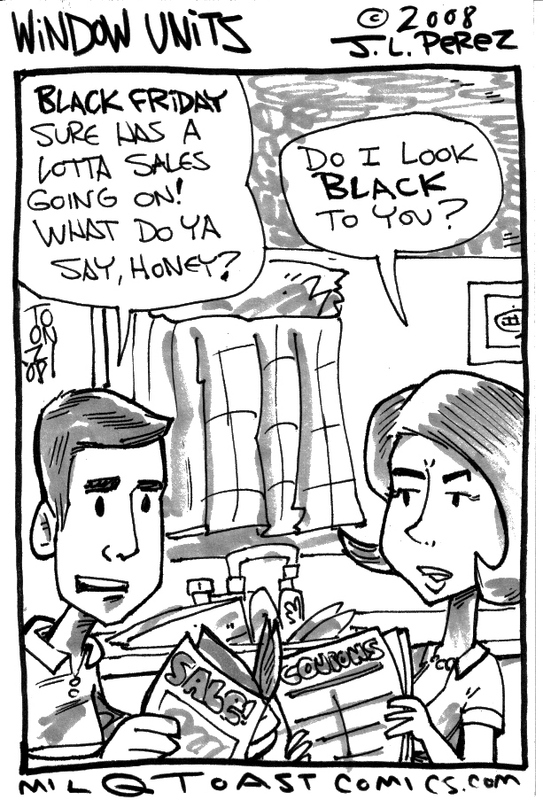 toONzDay.CoM - The Art & Comics of tOonZdAY: Why's it Gotta Be Black? Why's it Gotta Be Black? Happy Black Friday everyone! Today is that infamous unofficial American holiday (and I can't stress American enough) where we rush to wait in line at stores, battle through hordes of idle people, and shell out our hard-earned cash for goods and technology that'll be obsolete by 2013, all in the name of a good deal! To those participating in today's events be careful out there. In the meantime here's a short comic from the archive.